We often associate orthodontics with moving several teeth on the upper or lower arches (or both) with braces or clear aligners. But not all patients require a major endeavor — sometimes only one or a few teeth need to be moved, and not very far. A slight gap between the two upper front teeth is one type of situation that only requires minor tooth movement: just a few teeth need to be moved and usually just a millimeter or two. The appliances needed to achieve this are also relatively simple in design: removable retainers or small scale fixed braces with small springs or elastics that place pressure against the teeth. The process may also only take a few months rather than two years as with major tooth movement. Preparing for the procedure, though, must be undertaken with great care. We need to first determine if moving the teeth even slightly could affect the bite with the opposite teeth. We must also ensure the roots of the teeth intended for movement are in good position for allowing the space to be closed. We must then consider the other supporting structures for the teeth. It’s important for gums and bone to be healthy — if not, treating any found disease may be necessary first before beginning orthodontics. 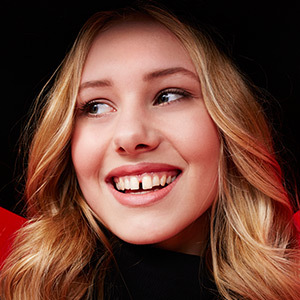 And, if the gap between the two upper teeth was created by an abnormally large frenum, the small strip of tissue connecting the lip to the upper gum, it may be necessary to remove it before tooth movement can begin to ensure the closed gap stays closed. Like any other orthodontic treatment, minor tooth movement first requires a thorough examination with x-ray imaging to determine the exact tooth position, bite issues and the surrounding gum and bone health. We can then be reasonably certain if this straightforward procedure is right for you, and could help you obtain a more attractive smile.